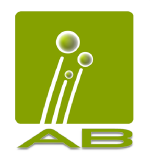 Assay Biotechnology Company, Inc. was founded in 2006 in California’s San Francisco Bay Area. We offer over 5,000 validated, pre-made antibodies that span a wide range of cellular pathways, featuring over 1,000 phospho-specific antibodies. In addition to providing a vast inventory of fine research primary polyclonal antibodies, Assay Biotechnology is striving to produce all human genome wide antibodies and antibodies against all published regulatory phosphorylation sites by 2015. At Assay Biotechnology, our dedicated research and development and production teams synthesize each of our antibodies using synthetic peptide immunogens. This allows our quality to be closely monitored while giving us the power to target particular protein regions and isoforms in our antibody design. Our quality peptide design is the key to generating specific, selective, and reproducible antibodies. In addition to our quality-conscious production process, each of our antibodies undergoes vigorous quality control testing and validation before being included in our catalog. First, they are purified by affinity chromatography using epitope-specific immunogens. Each antibody is then validated using a combination of Western blot (WB), direct enzyme-linked immunosorbent assay (ELISA), immunohistochemistry (IHC), immunocytochemistry (ICC), and immunofluorescence (IF). A successful antibody will be blocked by immunogen peptide, quality-tested by two independent groups, and validated in two or more applications before being included in our product line. All validation steps are carried out using whole cell lysates and paraffin-embedded tissue, never over-expressed or pure protein. Combining our expertise in antibody production and rigorous quality control testing has allowed us to produce high-quality, high-specificity phosphospecific antibodies. These unique antibodies give researchers the power to explore cellular regulatory events including signal transduction, enzyme receptor activation, phosphorylation-modulated transcription, and cell signaling events. In addition to our selection of phospho-specific antibodies, we offer isoform and modification-specific antibodies, including acetyl-specific and cleavage-specific antibodies. Our full range of products includes antibodies against ion channels, transmembrane proteins, and receptors, featuring a wide array of G-Protein Coupled Receptor (GPCR) antibodies. Furthermore, we are confident in our quality and ensure reliable antibody performance; any antibody that does not meet the performance standards indicated on the product datasheet will be replaced free of charge. We guarantee our regularly-priced products 100% for the treatment concentrations and application in the organism(s) stated in product datasheets. With technical support approval, any item that does not meet the standards detailed in the datasheet may be returned for store credit or refund within 30 days of purchase. Aviscera Bioscience is the leading supplier of specialty myokines and cytokines for metabolic syndrome & cardiovascular diseases research. GBI Labs / Golden Bridge International (GBI), Inc. was founded in 1993 for the purpose of supplying well-developed, affordable and unique biomedical reagents to research and diagnostic communities, biotech and pharmaceutical industries in the world. GBI lBas develops and manufactures high quality immunohistochemistry (IHC) products used for human anatomy pathology, veterinary pathology, antibody screening for drug discovery and cancer research. R&D Systems was founded in 1976 in Minneapolis, MN. It is a wholly owned subsidiary of TECHNE Corporation (a holding company with no employees). The stock is traded publicly on NASDAQ's National Market System under the "TECH" symbol. TECHNE has two operating subsidiaries: Research & Diagnostics Systems, Inc. (R&D Systems) and R&D Systems Europe Ltd.
R&D Systems has two operating divisions: Biotechnology, which manufactures reagents primarily for the research market, and Hematology, which manufactures controls and calibrators for hematology analyzers. In July of 2005, R&D Systems purchased BiosPacific, which became a wholly owned subsidiary. BiosPacific is located in Emeryville, CA, and consists of a sales force which provides products for development of immunoassay kits. R&D Systems Europe in Abingdon, England distributes biotechnology products, is the European Authorized Representative for the Biotechnology Division, and has sales subsidiaries in Germany and France. They received ISO 9001:2008 certification in July of 2010. EuroCell Diagnostics, Village de la Metairie Batiment B, 35131 Chartes de Bretagne, is the European Authorized Representative for the Hematology Division and is ISO 13485:2003 certified. R&D Systems established a wholly owned subsidiary in the People's Republic of China in May of 2007. R&D Systems China Co. Ltd. officially opened its warehouse and distribution center in Shanghai, China on October 1, 2007. R&D Systems China provides products, marketing, and technical support to our Chinese distributors.